The word “matchmaker” probably drums up visions of storybook middle-aged yentas in headscarves pinching your muffin tops and telling you that you’ll never meet a man while simultaneously singing songs from Fiddler on the Roof. 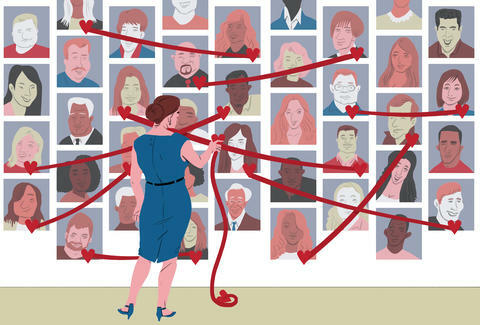 But when it comes to the modern day matchmaker, the reality is very, very different. First, it’s important to know that matchmaking is a real thing -- a thing people in NYC do a lot, even in the Tinder Age. So much so that NYC’s top matchmakers are raking it in as they find and match high-paying members of the city’s Lonely Hearts Club. 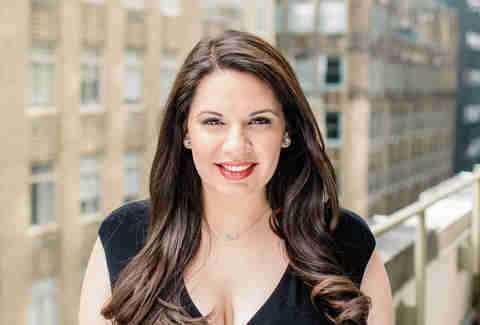 So before you go scoffing at the profession and sitting back for yet another disappointing round of the Tinder Merry-Go-Round, check out some of NYC’s best matchmakers and see how they do what they do. When Should You Buy vs. Rent in NYC? Clients tend to range in age from 25-65, but any specific age range is accommodated. Vet the client: "We really take the time to get to know our clients. We will develop personal relationships with them and take it offline. We do check-ins in person, we call, and we text. We develop a trust where our clients feel like we are friends of theirs. Also, we make sure that they look like their photos." NO blind dates: "We show photos of clients to potential matches and vice versa. A lot of services treat it like a blind date, but we only let people go on dates when they know what the other person looks likes. No catfishing allowed. We don’t want to set you up with someone you’re not interested in. We’re not here to waste your time." Do the dirty work: "We find our matches in a lot of ways. We have a robust network that lives online in our database of our own that has been accumulating. But most importantly we go out to events. That’s one of the biggest points. We are always out at the hottest NYC events, singles events, fashion events, conferences. Whatever we can get our hands on. We will direct it toward our specific clients. If I have a male client interested in meeting women in the fashion world, I go to fashion events. If I have a doctor looking for another doctor, I might go to a medical conference." Success rates: 81% of clients had a positive experience with their TDR matchmaker and 40% of new clients come from referrals. "I was matching this guy who couldn’t get past the first date, if he could even get a first date at all. I was more than happy to play wingwoman with him, go to events and help him get his feet wet. He has allowed his confidence to build and he has come back to me and said that he’s been getting out of the friend-zone, meeting women on his own, and has a total sense of confidence now." Janis & Carly Spindel, Janis Spindel Serious Matchmaking Inc.
A mother-daughter matchmaking team, focusing on matching men who are well-educated, well-groomed, financially independent, commitment-minded, and looking for love in all the wrong places. Fees: $50,000-$500,000 up front with Janis; $25,000-$100,000 with Carly. Both fees get you a year membership. Dry run it: "First we have men fill out an application on the homepage so we don’t have to ask them 1,000 questions on the phone. They have to upload pictures as well. Then we set up a phone call and try to weed out the riff-raff. After that we set up a simulated date. Every day we are having breakfast, lunch, or dinner with potential clients. It’s basically a date with him to hear what he’s looking for and to see if he’s realistic. We check his manners, is he drinking, is he on his phone, does he make eye contact, how does he treat the waiter? If we like them and if we stick to their expectations, we put them in the right program." Build a database of fabulous women: "Women are part of a database. That means if they fit with a current client, then they are introduced. I like to compare it to food -- let’s say a woman is really great, but not what a man is looking for right now, even though she’s fabulous. It’s the same as if a man goes to dinner and loves salmon and steak, but right now is just in the mood for steak. Even if the salmon comes from the best fish market in the world, it isn’t a match because that’s not what he wants right now. We meet tons of women and if they don’t fit the profile they stay in our database and hopefully in three months, six months, a year from now they get introduced to someone." Success rates: Janis has 1993 couples married, Carly has 85 couples married. 97% of their clients end up in long-term relationships by the third to fifth introduction. 15% of their clients end up marrying their first introduction. "I set my client up with a woman who one of my assistants met with. I showed him her picture and profile and he was excited. Then I met with her and it turned out that she worked for one of his clients. Initially he thought it was too close to home and was going back and forth over seeing her. He decided to and two and a half years later, they are now engaged. This is the first introduction I ever set this girl up on." Working with busy professionals interested in serious relationships. Clients range from 30s-60s, with core clientele in the 35-45 range. Fees: $6,500 for coaching; $15,000 for matchmaking. One-time fees for six months including a minimum of six introductions. A final $5,000 is due as a success fee if you enter a relationship that is more than six months. Vet the client: "We match people on a multi-pillar scale. We look at their communication style, first and foremost. We look at their lifestyle and how they can improve their dating experience. For a lot of people it’s about showing them priorities, giving them feedback after dates, educating them on style." Hold their hands: "You can sign up on the website to either be a client or a member in our database. If you sign up to be considered as a client, we call you in for an interview and recommend the best program for you, whether that’s matchmaking or date coaching. Typically most are matchmaking. You become a client and we start recruiting possible matches. We give you a time, place, and day of date. We set up the second date. We try to facilitate the relationship as well. Basically we try to make it dummy-proof." Keep them accountable: "We don’t share phone numbers or photos. It helps a lot because it makes people accountable. We know what attractive is, so that’s not a concern for us. I think a lot of people base judgement on a nano second of seeing a photo. They’ll swipe left on Tinder because his smile was too toothy. Of course you should be attracted to a person, but I don’t know if looks matter as much as people think." Have a wide network: "When you hire a matchmaker, you’re hiring her network and that includes her life. I try to have a diverse group of friends and people who influence me. When I’m out I can always tell people what I’m doing and make connections." Success rates: "Typically, 85% of our matchmaking clients enter relationships longer than six months through us. 90% of our coaching clients reach their relationship endeavors while working with Agape Match." "I had a client who was at the end of his contract. It was his last match and I was really down on myself about it. I went to see my orthopedist and was talking to her and I had this feeling that I had to set her up. She wasn’t sure if she wanted to. I told her worst case scenario, great dinner. Best case scenario, second date. They went out the following week and got engaged eight months later. They got married on their one-year anniversary." Working with men and women ages 24 to mid-60s. The majority are in their 30s and 40s, and she works with more men than women. Relive the past: "Initially a client will contact me. We’ll set up a consultation and talk for an hour or so. I learn what their goals are, why they reached out to a matchmaker, what their past history of relationships has been like. We try to track what their mistakes have been. A lot of time people will say they want one thing but do exactly the opposite. I try to bring their attention to that. I make sure that whatever they say their goal is, that they truly want to get there." Eye on the prize: "Depending on their goal, we talk about what their ideal match is like. We talk about what they are attracted to physically and how important that is for them. We also talk about personality. Not everyone is a good match with a Type A personality, for example." Cast a wide net: "When people retain me as their love headhunter I don’t limit matching to people who are just clients because that would be restricting. When people retain me, my entire network becomes part of it. It helps to know a lot of people. In my database I have several thousand singles, so that’s the first place I look. I do specific searches when I’m out networking. I talk to other matchmakers around me who might have a good match. And, of course, if people are clients I set them up, but more often I work with a limited number of clients each year, maybe 10-12 every six months." Success rates: "70% of our clients are dating, in an exclusive relationship, or are married with kids, because of our service." "When I was single I was going on dates and trying to find and meet the one. I dated one gentleman about six years ago for about a month. The timing just never worked out. But two years ago he actually hired me as his matchmaker. I took that as a huge compliment, and I was able to introduce him to his now wife. She came in to potentially hire me, but I asked her to let me set her up with this fellow. I set them up and they got married in the Hamptons this past October. He also texted me two days ago saying they’re expecting." 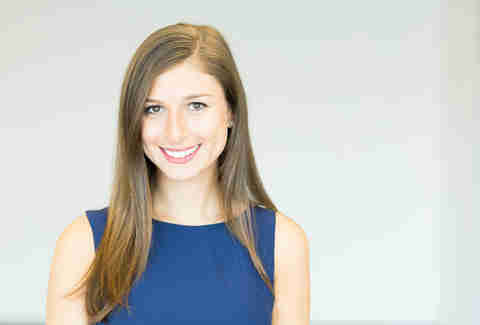 Meagan Drillinger is a contributing writer for Thrillist and exclusively pursues NYC delivery guys. Follow her on Twitter, Instagram and Facebook at @drillinjourneys.